Establishing Policies & Procedures for C&E/CoR. Last month we explored the 10 points that needed to be covered under CoR/C&E. The next question, is how do we ensure that our business can comply with those 10 items. The most common method is to develop Policies & Procedures (P&P), for our business to work under. The P&P themselves. To what level of detail should they get to? If the P&P fail to have enough detail, then their impact may be too loose and not cover the legislation effectively. If they are too big then they become a voluminous epistle that is never read let alone used. Risk of making the P&P too specific and restrictive which means that if a situation deviates from what we have prescribed, then workers will become paralysed as they will not be able to make decisions on how to handle a situation. This may lead to the logistics function not occurring, but more likely that the function will be executed in an uncontrolled manner leaving the company exposed under CoR/C&E. Not taking into account all the relevant groups. Under new legislation a person engaged to complete a task on a site (including a truck) will be deemed as a “worker”, regardless of how they are engaged, be they a direct employee, a subcontractor, through a labour hire agency, via a 3rd or 4th party. P&P of intent not action; this habit is common with many companies and they develop P&P that look great on the bookshelf and have significant version control and indexing, but in reality bears no resemblance to what actually happens within the business. This means staff will continue to complete tasks in the same way they always have and pay no attention to the company P&P. Copying a P&P system from a “mate” or elsewhere in a business group, completing a “search and replace” on the business name and logos, and they have instant P&P for their business. Know how your business “actually” works before you start. We are not looking for what should happen; more what the business is really doing. So don’t get the manager to write this, get the front line operators to do it. You must be able to “map” your business processes so that they can be followed by a “trained monkey” in the event that the normal operator is unavailable at short notice. Compare your actual processes to the CoR/C&E regulations and see where the holes are. Fix up the holes in your business. Write concise P&P to cover what you actually do. DO NOT get sucked in to developing a complicated P&P system: KEEP IT SIMPLE, KEEP IT LEGAL. Bear in mind that regardless of how fantastic the bookshelf system looks, if authorities embark on an investigation due to offences committed, they will not care about what the P&P says. They will be looking for what actually happened leading up to the offence. If the P&P you have developed are not capable of controlling the compliance issues, then they will be immediately discounted. In summary if you are NOT comfortable in getting to this level of accuracy with your P&P, get some help, it will be cheaper and quicker in the long run. Recently the CoR/C&E Bill passed through the West Australian Parliament and as such is effectively operational and WA will come in line with the Eastern States. This means that actual compliance with the Bill is now enforceable and prosecutions could commence. So be ready for an increased effort in this area by enforcement agencies. With all we have discussed so far and recent presentations conducted to industry groups in Perth, I see lots of blank looks and bewilderment as to where a business should start on this path to compliance. We have discussed the 10 points and Policies and Procedures, but who is going to write them and when written will they be sufficient to gain protection? If Company” A” writes a P&P and Company “B” writes one, which one is correct? Which one will suppliers, contractors and customers follow? The big question is, that as part of the Bill, all carriers are required to be compliant, including Sub Contractors. How does a company ensure that their subcontractors are compliant? Is each Subbie subject to audit? What if a Subbie works for several primary carriers, will they be audited separately by each one? Technically a Subcontractor may need a multitude of compliance systems for each of their prime contractors. Now let’s get a reality check. How many Subcontractor do you know that have a single compliance system for anything, let alone multiple systems with this degree of complexity? Is this all sounding like something that will cause you to drown in paperwork? Let’s not just focus on the subcontractor. Suppose your business has several different market sectors that it deals with. Will you need to be audited by all those different sectors? Will you need a compliance team bigger than your operational team? Consider now, how many compliance requirements you are expected to respond to with your existing customers, let alone the introduction of CoR/ C&E? So what can be done to ensure that a company or primary carrier has compliant subcontractors and is compliant with the requirements of customers? The answer is an industry Code of Practice (CoP). This CoP will ensure that common problems and fixes are shared and as such cost and complexity reduced. 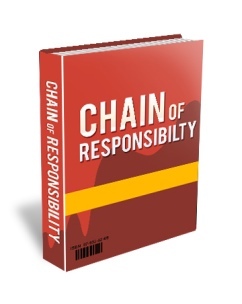 Imagine, you are working on a difficult compliance issue that you are finding hard to resolve. The CoP is likely to have a solution for that problem that has already been checked as feasible and legal. Two things happen; firstly the problem is fixed quickly and the overall cost is reduced. But here’s the big bonus; if the entire business sector is applying the same legal fix, then that becomes the industry norm and every business is a on level footing. The Refrigerated Warehouse & Transport Association (RWTA) recently developed and had accredited their Code of Practice. 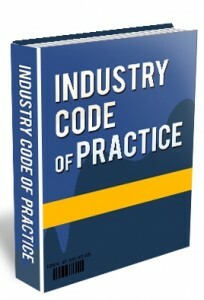 They are now able to apply the code within the industry sector regardless of size of the business. This means all businesses have a common system and all contractors large or small have a common code to follow. Of course the really big benefit is; one system, one audit, one compliance certificate that says “I am compliant to RWTA Code of Practice”. This certificate can then be used to demonstrate compliance to all those that require certification. If your business is of sufficient size you can even establish a Code of Practice specifically for your business. These are just as effective internally when a business is diverse and geographically spread. So if you have operations all over the country, then a business CoP will ensure consistency within the business. Last part of this article series here.